Start off your visit on the 23rd (Mon): take in the views from Golden Gate Bridge. Keep things going the next day: don't miss a visit to Lombard Street, take a leisurely stroll along Fisherman's Wharf, then head off the coast to Alcatraz Island, and finally buy something for everyone on your list at Ferry Building Marketplace. 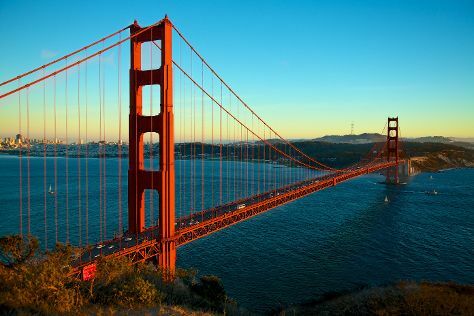 To see reviews, photos, where to stay, and more tourist information, use the San Francisco trip planner . Vienna, Austria to San Francisco is an approximately 16.5-hour flight. You can also do a combination of train and flight. The time zone difference when traveling from Vienna to San Francisco is minus 9 hours. Prepare for somewhat warmer weather when traveling from Vienna in December: high temperatures in San Francisco hover around 17°C and lows are around 8°C. Cap off your sightseeing on the 25th (Wed) early enough to go by car to Yosemite National Park. 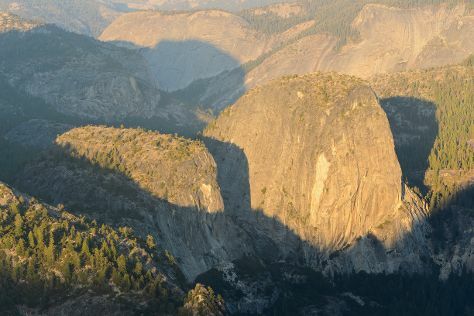 Step off the beaten path and head to Glacier Point and Tunnel View. Change things up with a short trip to June Mountain in June Lake (about 50 minutes away). On the 27th (Fri), spend an exhilarating day on the slopes at Yosemite Ski and Snowboard Area. And it doesn't end there: take in the dramatic scenery at Yosemite Falls, take in the views from Pohono Bridge, and don't miss a visit to Yosemite Village. For maps, more things to do, traveler tips, and tourist information, you can read our Yosemite National Park online travel planner . You can drive from San Francisco to Yosemite National Park in 4 hours. Alternatively, you can do a combination of flight and car; or do a combination of flight and bus. While traveling from San Francisco, expect slightly colder days and much colder nights in Yosemite National Park, ranging from highs of 9°C to lows of -11°C. Finish your sightseeing early on the 28th (Sat) so you can drive to Monterey. Monterey is a city in the U.S. Kick off your visit on the 29th (Sun): hike along Point Lobos, then stop by Monterey's Tasty Olive Bar, then contemplate the waterfront views at Monterey Bay, and finally do a tasting at Carmel Ridge Winery. For photos, more things to do, where to stay, and more tourist information, you can read our Monterey trip planner . Drive from Yosemite National Park to Monterey in 4.5 hours. Alternatively, you can do a combination of car, flight, and shuttle; or do a combination of car and flight. Expect somewhat warmer weather when traveling from Yosemite National Park in December: highs in Monterey hover around 19°C, while lows dip to 7°C. 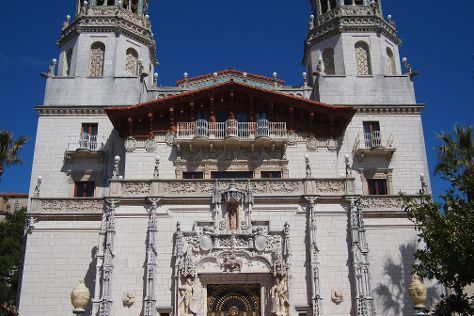 Finish your sightseeing early on the 29th (Sun) so you can drive to San Simeon. Kick off your visit on the 30th (Mon): step into the grandiose world of Hearst Castle, look for all kinds of wild species at Elephant Seal Rookery, and then visit a coastal fixture at Piedras Blancas Light Station. To see ratings, where to stay, photos, and more tourist information, read San Simeon trip builder site . Drive from Monterey to San Simeon in 3 hours. Alternatively, you can take a train; or do a combination of bus and car. Traveling from Monterey in December, plan for slightly colder nights in San Simeon, with lows around 0°C. Cap off your sightseeing on the 30th (Mon) early enough to go by car to Death Valley National Park. Start off your visit on the 31st (Tue): explore the striking landscape at Zabriskie Point, get great views at Dante's View, and then make a trip to Mesquite Flat Sand Dunes. Get ready for a full day of sightseeing on the next day: contemplate the waterfront views at Badwater Basin, then explore and take pictures at Artists Dr, and then steep yourself in history at Eureka Mine. For traveler tips, more things to do, maps, and more tourist information, refer to the Death Valley National Park trip app . Drive from San Simeon to Death Valley National Park in 6.5 hours. Alternatively, you can do a combination of bus, train, and car; or do a combination of taxi and bus. Traveling from San Simeon in December, you will find days in Death Valley National Park are little chillier (15°C), and nights are about the same (0°C). Wrap up your sightseeing on the 1st (Wed) early enough to drive to Los Angeles. 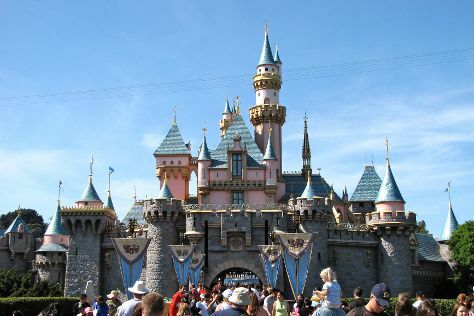 Take a break from Los Angeles with a short trip to Disneyland Park in Anaheim, about 30 minutes away. Pack the 3rd (Fri) with family-friendly diversions at Universal Studios Hollywood. Next up on the itinerary: see the interesting displays at The Getty Center, see the sky in a new way at Griffith Observatory, and make a trip to Santa Monica Pier. To see other places to visit, more things to do, reviews, and other tourist information, read our Los Angeles online journey planner . You can drive from Death Valley National Park to Los Angeles in 4.5 hours. Alternatively, you can do a combination of car, bus, and train; or do a combination of bus and flight. Prepare for a bit warmer weather when traveling from Death Valley National Park in January: high temperatures in Los Angeles hover around 24°C and lows are around 11°C. Finish your sightseeing early on the 4th (Sat) so you can travel back home.